Thanks to all who entered our Giveaway and Riddle! First we'll start with the Giveaway winner of the Seagrass Limestone Coasters and Rock Doctor Natural Cleaner. This prize goes to #10, Kurt! Kurt actually lives in Virginia but has a second home here in Park City. 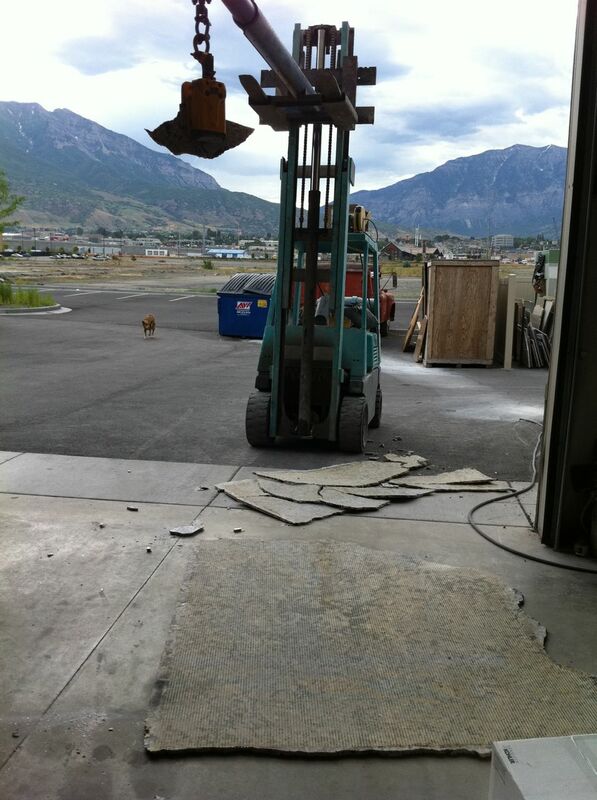 We are happy to be fabricating some granite countertops for his Park City home as I type this! Congrats Kurt! I'll send the Coasters and Rock Doctor cleaner up to your home with my installers! Here's the riddle again as a refresher. and cost us $1,000.00 in about a second? 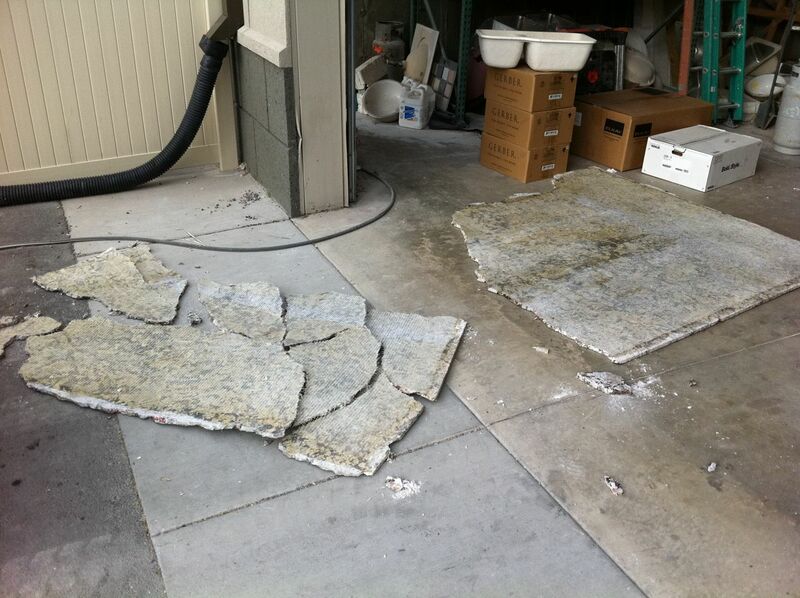 The answer: A broken slab of Bianco Antico granite. What a sad story...and a bad way to start a Monday morning! 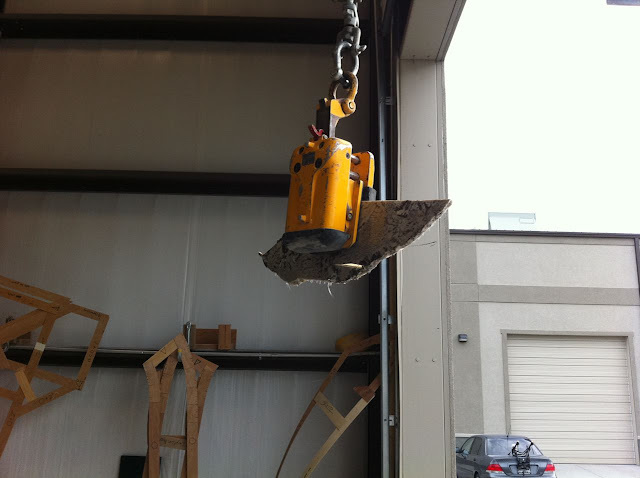 Nobody did anything wrong, the slab just broke out of the clamp when being brought into the shop. The good news is that no one was hurt. BJ jumped out of the way just in time. He definitely got his adrenaline boost for the morning! We actually didn't have anyone guess correctly. The funniest answer was from my friend Susan. She guessed President Obama! We'll give her a bottle of Rock Doctor for making us laugh! Its all behind the scene, finishing of Granite countertop needs lot of hard work and some become little costly like that incident.